Art Spiegelman is an American comics artist, editor, and advocate for the comics medium, best known for his Pulitzer Prize-winning comic book memoir, Maus. In 2005, Time Magazine named Spiegelman one of their Top 100 Most Influential People. Spiegelman is a prominent advocate for the medium of comics. 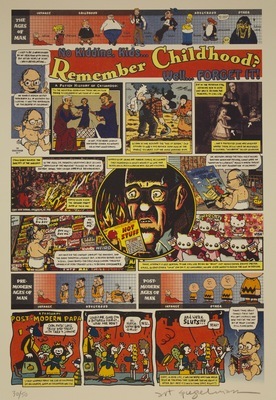 He tours the country giving a lecture he calls “Comix 101.” An anthology of interviews with Spiegelman, spanning twenty-five years and a wide variety of printed venues, was published by University Press of Mississippi in 2007 as Art Spiegelman: Conversations.